Get ready to have an awesome time, chill out, meet new people and learn a thing or two. Join to hear and learn from The master of pitch Lior Shoham in a new Workshop for entrepreneurs, Wednesday, August 17th, 2016, 18:00, Google Campus TLV, 34th floor. Excellent ideas alone can’t communicate themselves. You need to deliver the right message, to the right person, in the right manner. And that is exactly what you are going to discuss with the help of Lior Shoham. * Perception management – how to proactively manage how you are perceived? * How to communicate confidence- even if you don’t feel it? * How to get what you want by helping your investors to get what they want? 18:00 – Networking, chill out, Refreshments, etc. Lior is a Senior trainer and consultant at Barry Katz Inc.
Lior lectures, coaches and facilitates workshops, helping people to communicate better so they can get better results. He has worked and coached entrepreneurs, senior executives, salespeople and technical staff in developing presentations that “stick”. Lior has worked with many different customers, including Check Point, CheckMarx, HP, Radware, Siemens, Biosense Webster , Mellanox VeriFone, and more. He has also prepared hundreds of speakers and presenters for TEDx event, Road Shows Demo Day and worked with many Startups, Accelerators and VC’ s.
Entrance is free like usual, The event will be held in Hebrew. The event will be filmed and photos will be uploaded to Social networks. Hope to see you all again for a great time! Pitch tonight is a global program founded by Gil Shourka in 2011. The goal of the program is to bring opportunities and tools to young entrepreneurs in the pre seed or seed stage. The program focuses on high level events of investors and entrepreneurs together with various workshops in the field of entrepreneurship. The Israeli branch was Founded in 2015 with Gil Shourka and Yisrael Gross together with Ariel Zaretski, Nogah Senecky, Omri Ben Simon and Jonathan Gilat. 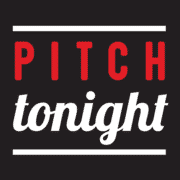 Pitch Tonight was featured in the past on Yahoo Finance, MarketWatch, Boston Globe, Chicago Business News, Atlanta Business Chronicle, Dallas Business Journal, TheMarker, Epoch Times, Telecom News, The Israeli Channel 2 and more.